Smart leaders invest wisely. Investment in reading has long-term payoffs. It is exactly this problem that Thinking Reading sets out to solve in secondary schools. We aim to ensure that struggling readers learn more in less time, that they catch up quickly and completely, and that intervention has minimum impact on the curriculum. We don’t pretend it isn’t difficult. After all, it is glib hand-wringing and simplistic labelling that have produced 20% of students arriving at secondary school below the required standard, and a regular 10% of students reading several years behind where they should (see this post for more details). School leaders have to make investments – in training, in resources, and of course in the time required to teach students. But counting the cost doesn’t just apply to schools. We know that we can’t deliver for schools and students unless we ourselves are also completely invested in the process – in time, in study, in preparation, in sheer hard slog at times. But no one promised it would always be fun. So when the results begin to show in students, like those first flowers that suddenly bloom in the desert, one has to take a moment to take stock. Behind each of these pieces of data is a person, a life, and a life waiting to be lived at that. Learning to read changes lives like nothing else I’ve seen in education. Meols Cop High School began training in Thinking Reading in November 2015. In April 2016, after a thorough assessment process, their first cohort of students began lessons with a team led by Lisa Cliffe. 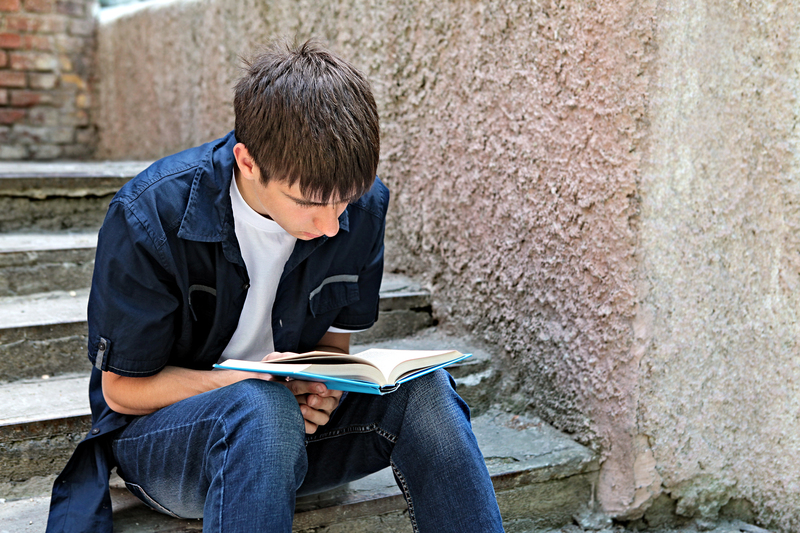 This term, some twenty school weeks later, the first five Year 10 students have graduated from the programme – that is, their reading has caught up to their chronological age. They have all made gains of between 2 – 3.5 years. Other students, who started further behind, have gained up to 4.5 years, and by the time they graduate will have gained over 7 years. The average rate of progress is about one month per lesson, and as staff gain more experience and confidence in the programme that will increase. It is inspiring to see students and tutors working together to solve a problem that hadn’t been solved in the previous nine years of schooling. It is no wonder they feel a cause for celebration; they, too, have made an investment – one that has paid back handsomely. Rebecka Schaber is the Literacy Lead at Bishop Challoner Catholic Collegiate School, and trained in Thinking Reading in 2015. She has been keeping data on her students for the past two years. In that time 18 students have graduated, with gains of between 3 and 8.5 years, with average rates of progress between 1.7 and 3.7 months per lesson. Again, this hasn’t been achieved without a remarkable level of commitment and effort – but the fact that such worthwhile outcomes can be achieved is inspiring. It is inspiring because each one of these data points is actually a person, someone who now has options that were previously closed. They are no longer marginalised by illiteracy. Sometimes it seems that criticism and fault-finding are skills that we develop fairly easily, though ultimately they yield nothing of value. On the other hand, the long, hard road of finding solutions and testing them is arduous, sometimes back-breaking work. It may even go unrewarded for long periods. But this Christmas, as we reflect on these (and other) results, we want to celebrate what school leaders, teachers and students have achieved through their respective investments. They have broken through false expectations. They have turned around longstanding patterns of poor behaviour. They have rekindled hope, and opened up doors of opportunity. It seems a very appropriate cause for celebration. It might be saying the obvious that someone who is involved in teacher-training and consultancy for phonics and reading/spelling/handwriting are approached by schools where results are not what they should be (other reasons include refresher training for staff turnover, or a dip in results from washout of a programme often with new staff, or starting a new programme – or for a specific area such as ‘spelling’ or ‘handwriting’). My point of posting here, however, is to confirm that with the right training, understanding, practice and good content, a very significant difference can be made with beginners, to strugglers, to older strugglers – as you are referring to in your post. I am trying to make sure that I’m generalising because, as you know, it isn’t just one programme that can achieve great results. What matters, however, is that teachers and others are fully aware that struggling readers in secondary schools can be much improved (as you constantly point out), that this must be tackled and not left as it is life-chance stuff, that it should be tackled sooner rather than later (from beginners!) and with intensity (high-importance). The sad thing is, as you know, the teaching profession as a whole is simply not trained well enough in the field of foundational literacy and they are not all supported well enough with good, consistent practices or good materials. I confidently tell people that as soon as they do adopt good routines, with rich content, and apply the consistency of phonics skills practice such as blending for reading, segmenting for spelling, handwriting – and so on – according to evidence-informed provision and adhering to the guidance of any programme, that improvement will be substantial and rapid. If it’s not, investigate the programme and practices, don’t blame the pupils’ contexts. This message simply has to get out there – because everywhere we see children’s learning difficulties and their home and economic circumstances being used to account for weak literacy skills. Of course these can be genuine factors but they are not insurmountable and, too often, they are the get-out. Absolutely, Debbie. The post is intended to demonstrate that substantial change is possible. The examples are Thinking Reading ones simply because that’s the data we have. The more we can tell these stories, the sooner we will break down those invisible but powerful misconceptions about what students can or cannot do. Thanks for flagging this up.